One of the Good Year Blimp (G-TLEL) is visiting Belgium. After a stop in Deurne, the dirigible was in Grimbergen. Unfortunetly the communication about this visit was very bad and not so much peoples were aware. Order your copy of "Luftwaffe Gallery" #1 or #2 now ! Belgian-wings.be : Picture : Adjudant Jean Nyssen of Hondschoote based N° 4 Squadron in front of his Sopwith Camel. Belgian-wings.be : Picture : The crew of De Havilland DH.4 E-68 pictured in their aircraft at Bierset airbase in the early twenties. Belgian-wings.be : Picture : Republic F-84F Thunderstreak FU-17 of N° 2 Squadron of the 2nd Wing stationed at Florennes airbase. Belgian-wings.be : Picture A military student-pilot posing in front of Renard RSV 32-90 O-BADA of the Stampe & Vertongen Vliegschool at Deurne airfield in the twenties. Belgian-wings.be : Picture Bell 206L-4 LongRanger IV OO-KBT (cn 45099) in flight at Brasschaat on June 19th 2010. 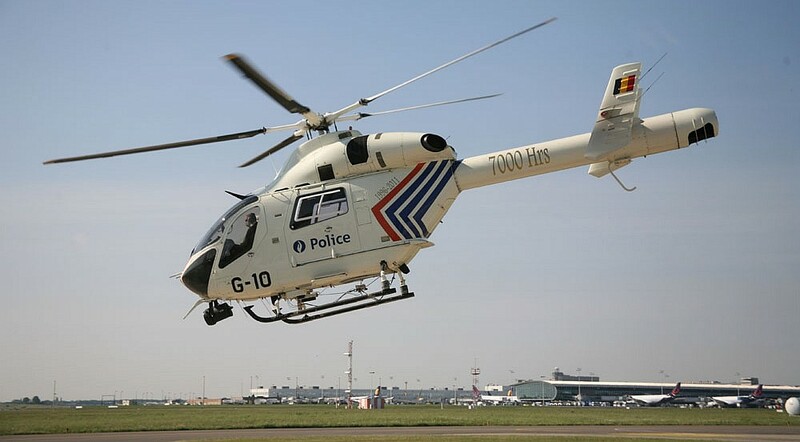 After the withdrawal of its Aerospatiale SA330 Puma helicopters, the Air Support Unit of the Rijkswacht/Gendarmerie (now Federale Politie/Police Federale) had a requirement for a twin-engined medium sized helicopter (twin-engined as the aircraft should also be able to operate safely urban areas). The aircraft had to be equipped with special observation equipment and cleared for night operations. The aircraft selected was the McDonnell Douglas MD900 Explorer equipped with a NOTAR or 'NO TAil Rotor' system. The NOTAR replaces the classic rear propellor by an aerodynamic system in which air pressure is guided through the tail-boom to a nozzle which can guide the helicopter in the desired direction. One of the added bonuses of the system is that the NOTAR equipped machines are very silent. In 1997 two Explorers joined the then Rijkswacht/Gendarmerie followd by two more machine in 2001 en 2010. Since the first little flight in December 2009 with Andre Borschberg as pilot, the HB-SIA has conducted hundreds test flights. This program is planned to promote a new way in energy saving and renewable alternatives energy. This is the main goal of Bertrand Piccard and his team. After a long series of test flights in Switzerland, the experimental aircraft started a European tour. First Step Brussels Brussels Airport on May 13th (a lucky Friday for the team). This international trip of Solar Impulse is sponsored by the European Commission and the plane will be the special guest of Paris Air Show, which for a century, is a hight point of the aviation history. During Paris Airshow, the Solar impulse is planned in the demonstration flying program. A "window" in the weather allowed the flight between Payernne and Brussels. 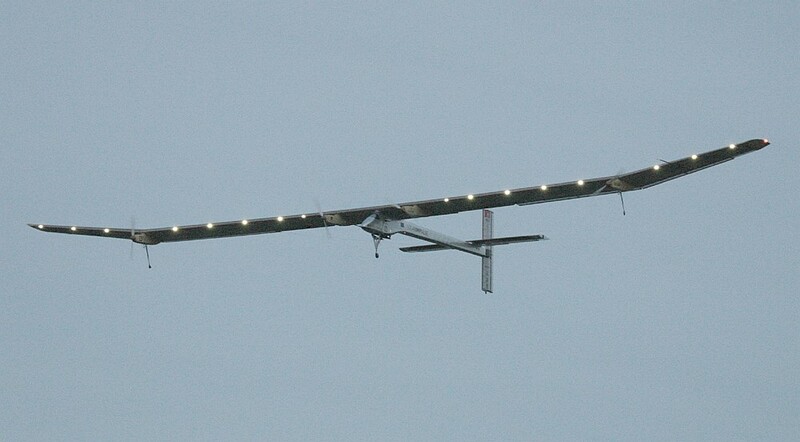 At 08:40 am the Solar Impulse took off from the Swiss airfield and after a flight above, Swiss, East of France, Germany, Luxemboug and Belgium, the plane landed at Brussels Airport at 09:40 pm after 13 flight hours. This historic flight could be followed in real time via the net and at some moment of the flight the registered ground speed was 37 km/hour...Amazing. The flight was followed by a special control center in Payernne and another one located in Brussels. During the F-16 solodisplay routine the aircraft collided with a civilian aircraft, which happened to have entered the airfield zone. 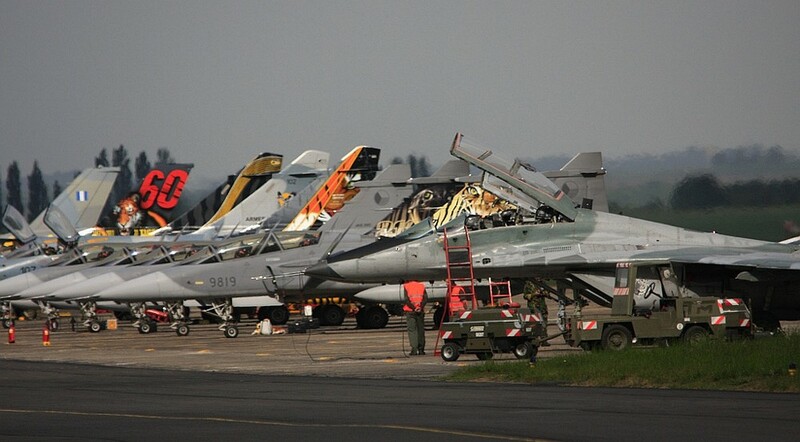 Both aircraft crashed onto the airfield, the F-16 into a parking lot. 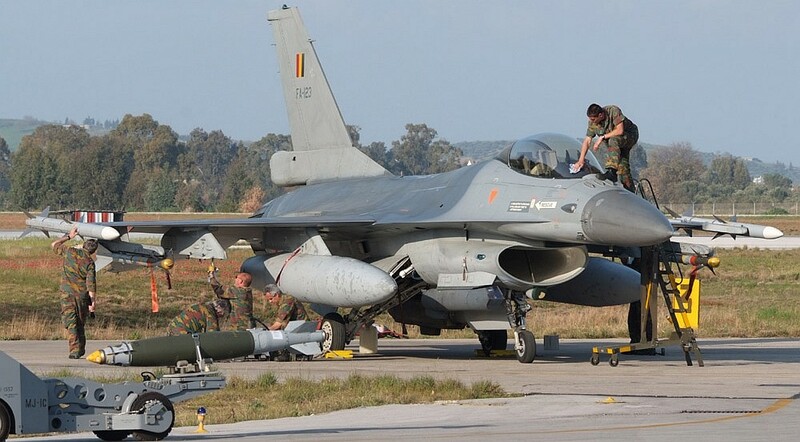 The pilot of the F-16 ejected, but was seriously injured. The occupants of the civilian aircraft also sufferd multiple injuries. Other victims, with one deceased person, were to deplore in cars hit by the crashing F-16 into the parking lot. Military emergency services were rapildy on the scene and together with the civilian services, called upon, organised the rescue of the victims. 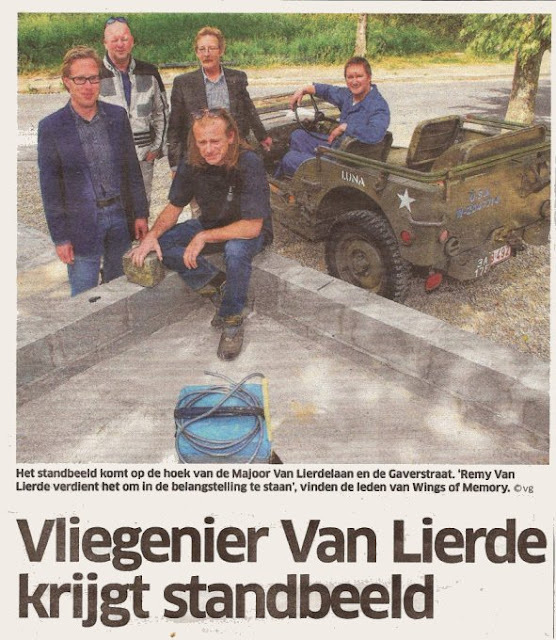 A VMP (Vooruitgeschoven Medische Post – Forward Medical Post) was installed and the ‘GMP’ (Gemeentelijk Rampenplan – Community ‘Disaster’ Plan) was issued. Helicopter MD900 – s/n 900-00034 made its production certification flight on April 15, 1996, at the MD production plant in Mesa, Arizona. On January 06, 1997 the helicopter was flown to Helidyne at Forth Worth, Texas, for further certification of the various flight systems. 00034 was then disassembled and shipped to Belgium where it was reassembled and testflown on January, 20, 1997. 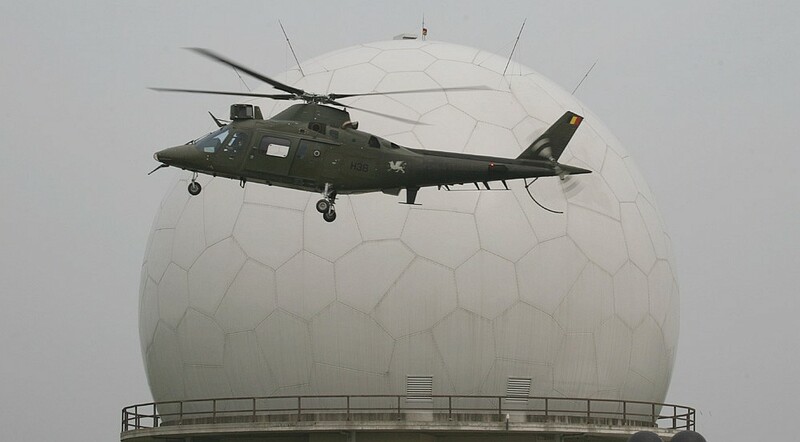 The helicopter was delivered to the Air Support Unit of the Belgian Federal Police (former Gendarmerie – Rijkswacht) and was immatriculated G-10. After 15 years of dedicated service and 7000 hours, the G-10 now entered its ‘midlife upgrade’ were he will be upgraded to MD902 standards. 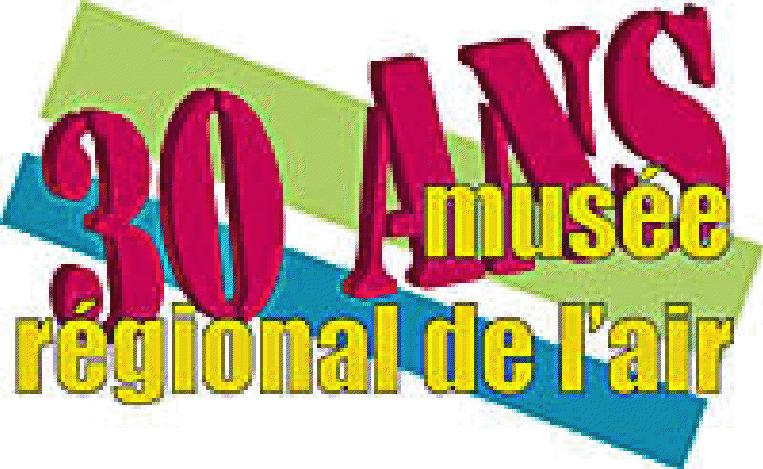 Dimanche, ce sera la journée internationale de la femme. Plusieurs d’entre nous serons mises à l’honneur à cette occasion. C’est le cas de Christiane Devleminck. Turi Finocchiaro et Nathalie Rossetti se sont intéressés à elle. Ils ont réalisé un film qui lui est dédié. Pourquoi ? Et bien parce qu’à l’aube de ses quatre-vingt ans, cette femme continue à transmet encore avec joie sa passion pour l'aviation. Elle reste l'unique femme au monde à avoir plus de 55.000 heures de vol. Battle of Britain Pilot’s Memorial Dedicated With the 70th anniversary events commemorating ..."
Belgian-wings.be Civil Picture : Diamond DA-42 Twin Star OO-CFB (cn 42.018) of , Hub'Air Aviation Academy upon landing at Antwerpen-Deurne airport on April 2nd, 2010. Belgian-wings.be Picture civil : Sobelair Sud Aviation SE.210 Caravelle VIN OO-SRD (cn 69) at Zaventem in the early seventies. Belgian-wings.be Picture Military : Lockheed F-104G Starfighter FX-80 of the 10th Wing in the static display of the Koksijde airshow in July 1968. Belgian-wings.be Military Picture : Percival Pembroke C.51 RM-4/OT-ZAD arriving at Koksijde airbase in the late sixties. Belgian-wings.be Picture Military : Pilot Adjudant Marcel Devos of N° 6 Squadron in front of his unmodified R.E. 8 in 1917. Solar Impulse HB-SIA landing at Brussels Airport on May 13th, 2011 at 21:40 local time. Click here for more images. bam : vidéo : "Solar Impulse - From Payerne to Brussels"
Belgian-wings.be News 18/05 - Brussels Airlines sees 45.8% % passenger growth over April 2011. Thanks to Dirk and the team if Wings of Memory, Belgian ace Mony van Lierde is remembered in his town of Geraardsbergen. As supporters and friends of Solar Impulse, you are always the first to get the latest news. Brussels, the first international stop for the solar plane of Bertrand Piccard and André Borschberg. For the occasion, Solar Impulse and the Deutsche Bank will be opening the doors of Hangar 117 at Zaventem Airport, letting you come and have a look at the prototype on Saturday, 28 May, 15:00 – 21:00. You will have the opportunity of getting close up to the zero-fuel plane and meeting a number of project members. You need to register to take part – via the link below. This open afternoon will be at Zaventem Airport, Hangar No. 117 in B-1930 Melsbroek. All practical information will be mailed to you before 28 May. Embark on the adventure by filling out the form. We look forward to meeting you in Brussels. Comme supporters et amis du projet Solar Impulse, vous êtes toujours informés en priorité. Bruxelles, première destination internationale pour l'avion solaire de Bertrand Piccard et André Borschberg. A cette occasion, Solar Impulse et la Deutsche Bank vous ouvrent les portes du Hangar 117 à Zaventem Airport, pour découvrir ce prototype le samedi 28 mai, entre 15h et 21h. Vous aurez le privilège d'approcher l'avion zéro carburant et rencontrer certains membres du projet. Pour participer, vous devez impérativement vous inscrire via le lien ci-dessous. Cette après-midi portes-ouvertes se tiendra au Zaventem Airport, Hangar N°117 à 1930 Melsbroek. Toutes les informations pratiques seront envoyées par email avant le 28 mai. Embarquez dans l'aventure en remplissant le formulaire. Nous nous réjouissons d'ores et déjà de vous rencontrer à Bruxelles. Als Supporter und Freunde des Projekts Solar Impulse haben Sie Anspruch auf exklusive Informationen. Brüssel, erste internationale Destination des Solarflugzeugs von Bertrand Piccard und André Borschberg. Zu diesem Anlass öffnen Solar Impulse und die Deutsche Bank die Tore des Hangars 117 im Flughafen Zaventem und präsentieren Ihnen den Flugzeugprototyp am Samstag, 28. Mai 2011, von 15:00-21:00 Uhr. Sie erhalten Gelegenheit, das Null-Treibstoff-Flugzeug aus der Nähe zu betrachten und einige Mitglieder des Projektes zu treffen. Eine Anmeldung ist unbedingt erforderlich. Bitte benützen Sie dazu den untenstehenden Link. Der Nachmittag der offenen Tür findet statt im Flughafen Zaventem, Hangar Nr. 117 in 1930 Melsbroek. Wir werden Ihnen alle nötigen praktischen Hinweise per e-mail vor dem 28. Mai zustellen. Kommen Sie an Bord des Abenteuers und füllen Sie das Formular aus. Wir freuen uns darauf, Sie in Brüssel zu treffen. The same airplane is now availlable as a scale model from Aviation Megastore. La disparition de Georges Guynemer le 11 septembre 1917 dans le ciel des Flandres reste enveloppée de mystère. Qui a abattu cet as français détenteur de 53 victoires homologuées ? Vraisemblablement pas l'aviateur Kurt Wissemann à qui l'on a attribué cette victoire. Où le Spad de Guynemer est-il tombé ? Au sud de Poelkapelle, où l'on a retrouvé vers 1935 un moteur d'avion ? Si c'est le cas, le lieu de la chute figure sur une photo prise de cet endroit trois jours plus tard. 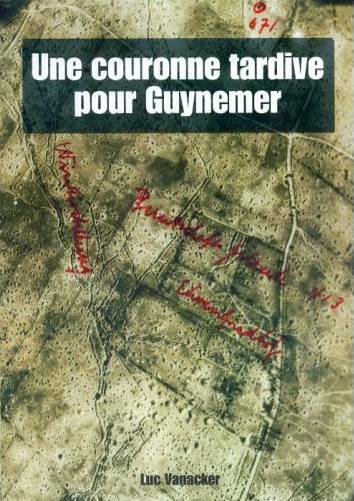 Enfin, qu'est-il advenu du corps de Guynemer ? Laquelle des quatre réponses officielles allemandes correspond à la vérité ? Et quel crédit accorder aux jeunes Belges qui ont vu le corps d'un aviateur français "anonyme'' à la fin de l'été 1917 ? Le présent ouvrage s'efforce pour la première fois de reconstruire, à partir de documents inédits, ce qui s'est passé du 11 au 14 septembre 1917. Au moment où notre musée va fêter ses trente années d'existence, nous sommes heureux de vous transmettre la 16° Lettre du Bobcat. In bijlage het programma van de airshowtrips 2011. 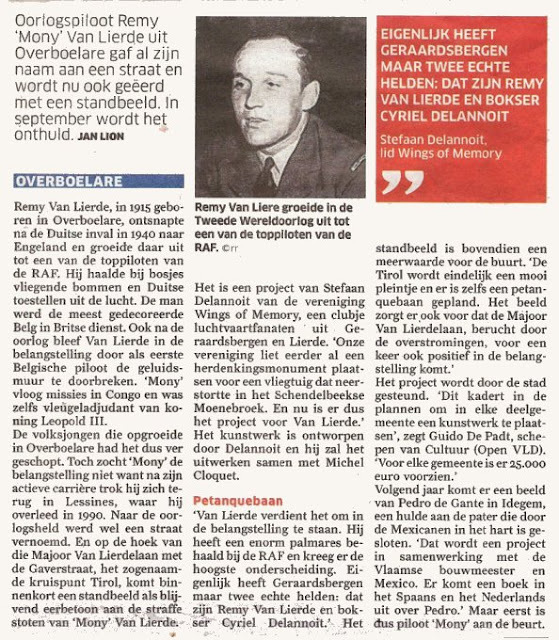 Als U niet meer wenst op de hoogte te blijven van deze trips, stuur dan gewoon huidige mail terug aan de afzender; U wordt dan geschrapt van de lijst van de bestemelingen. 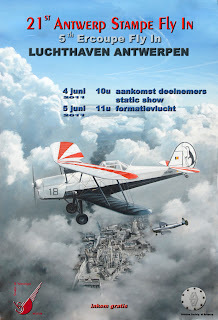 En annexe, le programme des airshowtrips 2011. 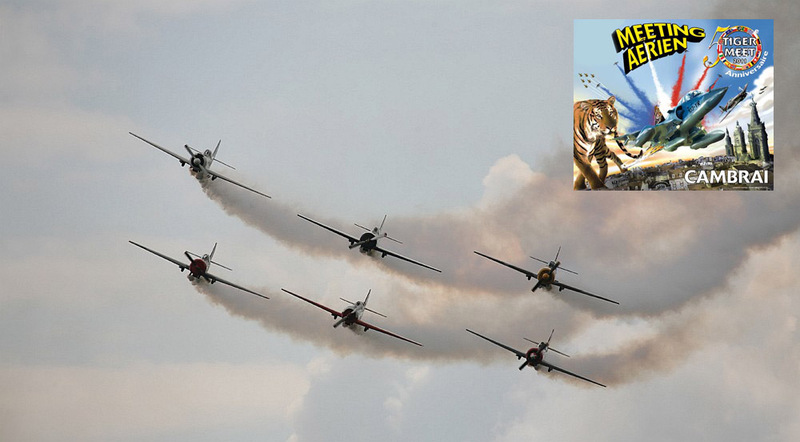 Si vous ne souhaitez plus être tenu au courant des activités airshowtrips, renvoyez simplement le présent mail à son expéditeur; vous serez rayé de la liste des destinataires.